Looking for a degree that combines your talent for technology with a desire to serve and protect? Regent's Bachelor of Science in Cybersecurity will prepare you to begin or advance your technology and network security career in government, military, private, public and nonprofit sectors. Learn how to create and execute a digital security strategy that supports and defends data resources managed by your employer. Discover how homeland security is integrating a strong cyber workforce to protect the nation's networks. Regent was named as a National Center of Academic Excellence in Cyber Defense Education (CAE-CDE) for the B.S. 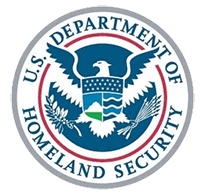 in Cybersecurity by the National Security Agency (NSA) and the Department of Homeland Security (DHS). It is among only four percent of universities in the nation to receive this merit, according to the latest data published by NICE (National Initiative for Cybersecurity Education, 2018). Analyze cybersecurity threats, trends and strategies. Identify cybersecurity principles, methods and tools that aid in the defense of cyberattacks. Decrease system vulnerabilities through integrated security technologies.